1 How Does It Work? How Is It Built? 4 Can Clues as to the Identity of “Individual Identification Tags” be Found in the Patterns of Connections? 4 Stem or Progenitor Cells? 5 Is Every Cell a “Neuron”? In 2016 Current Topics in Developmental Biology (CTDB) will celebrate its 50th or “golden” anniversary. To commemorate the founding of CTDB by Aron Moscona (1921-2009) and Alberto Monroy (1913-1986) in 1966, a two-volume set of CTDB (volumes 116 and 117), entitled Essays on Development, will be published by Academic Press/Elsevier in early 2016. 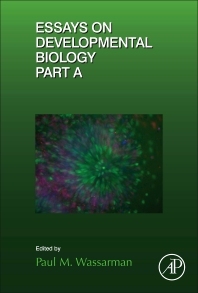 The volumes are edited by Paul M. Wassarman, series editor of CTDB, and include contributions from dozens of outstanding developmental biologists from around the world. Overall, the essays provide critical reviews and discussion of developmental processes for a variety of model organisms. Many essays relate the history of a particular area of research, others personal experiences in research, and some are quite philosophical. Essays on Development provides a window onto the rich landscape of contemporary research in developmental biology and should be useful to both students and investigators for years to come. Researchers in cell, developmental, and molecular biology; genetics. 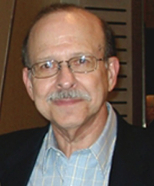 Paul M. Wassarman, the Series Editor of CTDB since 2007, is Professor in the Dept. Developmental and Regenerative Biology at the Icahn School of Medicine at Mount Sinai in New York City. He received a Ph.D. in biochemistry from Brandeis University where he carried out thesis research in the Graduate Dept. Biochemistry with Professor Nathan O. Kaplan. In 1967 Wassarman joined the Division of Structural Studies at the MRC, Laboratory of Molecular Biology in Cambridge, England as a Helen Hay Whitney Foundation Fellow with Sir John C. Kendrew. In 1972 he joined the faculty of the Dept. Biological Chemistry at Harvard Medical School and in 1986 moved to the Roche Institute of Molecular Biology where he was Chair of the Dept. Cell and Developmental Biology and Adjunct Professor in the Dept. Cell Biology, New York University School of Medicine. In 1996 he moved to the Icahn School of Medicine at Mount Sinai where he was the Lillian and Henry M. Stratton Professorial Chair of the Dept. Molecular, Cell, and Developmental Biology. Wassarman has published more than 200 research papers and reviews, dealing primarily with mammalian oogenesis, fertilization, and early embryogenesis.